We absolutely adore families and that includes man’s best friend, too… Dogs, of course! There’s nothing more we love than seeing families bring a pup into their life. Dogs can cheer us up, become our best friends, and be loyal and protective members of a family. But, of course, they really love doing one thing: Playing! It doesn’t matter what size or breed your dog is, chances are that they absolutely love play time. It’s easy enough for dogs to learn how to use a toy since their long genetic history helps them to do so, but sometimes the type of toy you choose can make all the difference. There is a myriad of options out there from squeak toys to actual dog puzzles and everything in between. What we wanted to know, however, is what would be the most conducive to a dog’s training, learning, and health. Toys have the capability to improve a wide variety of skills based on the type of dog that you own. They can offer anything from increase snout-sniffing skills to common logic and inference. Not only is this a method of self-training, but it’s also something that they thoroughly enjoy doing! We’ve never seen a dog sniff a toy and seemingly say, “Nah, I’m not interested in this” and we’re sure that won’t happen with any of these, either. We’ve done our job to look high and low for the most brilliant dog toys available out there now in order to ensure that your furbaby has only the best. This sneaky little form of doggo-hide-and-seek is the perfect way to encourage your pup to be active and use their hunting senses. With squeaking plush squirrels, this toy is simply irresistible to any breed. There are squeak toys, and then there's the Outward Hound Hide-A-Squirrel Puzzle. This brilliant creation features several plush squirrels that are hidden through the "tree trunk" base, designed to heighten your dog's hunting skills. Each squirrel squeaks when it's chewed which will increase your dog's desire to find each one. It comes in four different sizes depending on your dog's needs and will serve to improve their sense of smell as well as their natural foraging instinct. When not in use as a puzzle, these squirrels can easily be pulled out and used as chew toys or to play fetch, providing you with a great bang for your buck. It's a smart toy for the even smarter pup. This is one puzzle that will never get old for your dog. Each squirrel can be hidden in a different hole and the more you switch it up, the more your dog will learn. It's great to ward off boredom and provides a suitable form of play. The versatility of this toy is something that we really appreciate. As opposed to most dog puzzles that are straight-forward and only have one use, this one has several. It can be used as a reward or just a way to entertain your dog when they're feeling a bit restless. Everyone knows about Kongs but not many know about this stuffable toy. You can put a tennis ball, squeaky toy, or anything else that you want inside in order to encourage your pup to engage in active play. The Kong seems to be everyone's favorite go-to dog toy and there's a great reason behind that. Kongs are made with hard rubber and are extremely durable and long-lasting, which is an excellent option for larger dogs who love to chew on things. It's very rare that these deteriorate quickly or cease to last over the span of several months to a year which is why they're a great investment. This Kong, in particular, is perfect for large dog breeds. It's designed to hold things such as tennis balls and squeaky toys in order to engage and interest your pup. The handles on the side allow for easy throwing which provides a modernized twist on the traditional game of fetch. This won't likely get lost or be destroyed easily no matter how hard your dog bits or paws at it. There's some decent versatility when it comes to using this Kong creation. You can shake it, roll it, or even play tug of war with your dog in order to keep them from getting bored. This toy also floats which would make it a great pool or water toy as well. The indestructibility of Kong toys is what has us so enamored with them for larger dog breeds. Toys such as these can go through plenty of abuse and withstand it all, making them one of your dog's favorite toys, too. 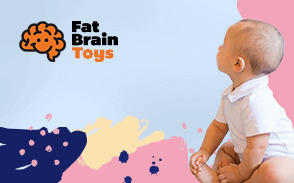 This toy can be used to slow down eating or to add another level of fun to playtime. Pups will love figuring out how to tip this wobbly container just the right way in order to have just the right amount of treats or kibble fall out. The Kong Wobbler is what most people think of when they think of Kong-brand toys. This giant cone is very dog-friendly and stands up to the roughest of play which is probably what makes it so popular in the first place. This toy acts as its own play and reward system because you can fill it with yummy dog treats! After rolling this toy around and doing some investigating, the Kong will automatically dispense a tiny treat to your dog as a reward for being such a good furry detective. The toy is designed to stand upright until your dog knocks it over which is when treats or bits of food fall out. It can be useful for training but also wards of boredom, since any and all dogs will be interested once they realize there's food popping out from somewhere! This toy serves a purpose that you might not think of, but may be helpful for some pet owners. A common problem, especially among dogs, is rapid eating. In order to alley this a bit, the Kong can be used for feeding time and will only spill out food at as quick a rate as your pup can "wobble" his or her toy. This Kong serves a variety of purposes and we're here for every single one of them. Kong is still one of the leading brands in tough dog toys and it's easy to see why. This is one option that we'd take for any pup because treats really do make the world go round! This smart little puzzle board will teach your dog how to play in a new and inventive way. It'll take a little bit of a logic and a lot of sniffing to figure this one out! Not all toys come in the form of squeakers and rubber balls and the Flip Board Strategy Game is one of those that are changing the game -- Literally. This puzzle-type toy is designed to increase your pup's inference and strategy skills. The purpose of the game is to help your dog figure out which things on the board require flipping or switching in order to reveal the delicious treats awaiting them inside. By learning how to open these various doors and work their way through obstacles, your dog will be increasing their intelligence and learning how to sniff out their reward. It's a great play-and-motivation game that will encourage them to do better each time in order to receive more treats. The game comes with an instruction booklet to help you and your pup to get started and also features a rubber grip on the bottom to prevent slipping as your dog goes exploring. Not only will your dog be learning as they go and learning how to rely on their natural instincts, but you'll be strengthening your bond with them as well. Many toys require solo play and will allow your dog free reign to chew or squeak their toy on their own, but this one will help bring you closer and encourage trust. This puzzle seems more challenging than it actually is and we love that it will encourage a reasonable amount of logic on the part of your dog without being impossible. It's a fun way to help hone their natural skills and acts as its own reward system. This is an excellent toy for training and highly active dogs. It's great for pups who are hyper and need to get all of that restless energy out, and the best part? They'll automatically be rewarded with a treat at the end of playtime. Is your dog a tough chewer? Or perhaps you have a puppy who just can't stop gnawing on your pillows? If this is you, then this toy is for them. This durable toy by West Paw is specifically designed with aggressive chewers in mind and will have them searching for this toy rather than the legs of your couch. It's built to last and completely non-toxic, making it safe for long-term use. It's not likely to be destroyed and with one unique added feature, your dog won't be looking to do that anyway -- This toy can be stuffed with all types of goodies! This takes the attention away from destroying the actual toy and directs your dog's focus to the delicious treats awaiting them inside. They'll be fit in there snugly, but not too much so that your dog won't be able to get them out. With a bit of work and effort, your dog will have a toy that addresses their chewing issues while also providing them with a reward for not chewing up your shoes instead. This is the perfect training toy for dogs that just can't seem to stop chewing. This can be a very problematic habit not only because of what can be destroyed but because not everything dogs chew on is safe for them. This toy will redirect their attention and give them something safe to chow down on without putting them in harm's way. What you stuff inside this toy is up to you and that's what makes it so great. You can store frozen treats on hot summer days or even fill them with bits of dog food or your pup's favorite treats. Either way, they'll be distracted enough to investigate their new favorite toy a bit further. Some dogs just love to burrow and digging in the yard can become a habit. That's why toys that are designed specifically for borrowing can come in handy since your pup can dig around in this plushy barn rather than your backyard! Similar to the idea behind the squirrel burrow, this toy works in very much the same way except it's low to the ground rather than towering high. That makes it suitable for small dogs who are prone to digging rather than sniffing things out. It's a good way to prevent your dog from digging in the yard, couch, chairs, etc., and will easily cure them of their boredom. This plush dog toy is safe for all types of breeds and while it's not designed for aggressive chewing, it will help them hone in on some natural skills. ZippyPaws promises hours of fun with this interactive barn and it's a great option for small and medium-sized pups. You'll also have a choice of seven other fun themes, all with the same benefits as the pig barn. This toy can be easily reused time and time again in order to ward off boredom and have your dog practice their burrowing skills. Each squeaky plush toy can be placed in a different location, making the game unique and different each time it's played. While many toys are designed for medium to large dog breeds and aren't necessarily small-dog-friendly, we love that this one is. Many small dogs don't need something that's built for aggressive chewing or durability and this is a great option for them. This fun little puzzle isn't very difficult to figure out but provides an adequate challenge for dogs who have never played with puzzles before. It's a great starter puzzle that will reward your pup with plenty of tiny treats when they get it down. This neat little puzzle is one of the easier ones out there but still serves as a great learning source for all types of dogs. It's versatile and will suit any breed which is one of the reasons we included it on our list. With multiple places for hiding treats or even food, dogs will love learning how to flip over these tiny hatches to find the goodies that await them inside. This game is great for slowing down eating or just for teaching your dog something new. Since it is relatively easy compared to other puzzles, it's more dog-friendly and not as intimidating for dogs that are initially unsure of themselves. It's also a great way to build trust between you and your pup as you can easily show them how it's done. This puzzle is super easy to clean which is also what puts it fairly high on our list of favorite puzzle-themed toys. With a little soap and water, this toy will be ready for use again in no time. There are two different ways that dogs can work their way into each treat holder. The first is by flipping a door open and the second is by knocking the cover off each one. This teaches your dog how to use logic and reasoning in order to find the hidden treats inside. This is a great, small puzzle that would be great for dogs who are naturally analytical. Breeds with these qualities will enjoy sniffing and hunting around on this board while figuring out that all it takes it the flip of a switch to release a treat. For a bit more of a challenge, why not try this fun puzzle? Ethical Pets has designed this puzzle in such a way that provides an adequate challenge for the most determined of dogs. Rather than simply flipping open doors or uncovering trays, dogs will be encouraged to slide certain pieces on the board in order to reveal the openings adjacent to them. This provides a significant challenge and will really test your dog's ability to hung treats down while using all the skills they have. This toy hasn't been overcomplicated and can be used by any breed, but it definitely takes a bit of patience and maybe even a helping hand to help them become engaged. Just because this toy says it's great for use by dogs doesn't mean that it can't be used by other pets, too. Cats will also benefit greatly from a puzzle such as this, as they're analytical creatures by nature. We like that this toy provides somewhat more of a challenge than the others. It takes treat-hunting to the next level and will really encourage pets to work for what they're smelling. Why get your pup a small toy when you can get them an entire mat to sniff out? This is a fun way to change up feeding times or hide your pup's most favorite treats to make for a fun game. If you have space, this SNiffiz Mat is perfect for dogs who love to use their sniffer and seek out treats, toys, and anything else that will pique their interest. This mat is versatile and serves as a sweet way to get your dog to slow down on their eating habits, making it very useful for puppy training. By filling the seemingly "hidden" pouches will a bit of kibble, you can encourage your dog to sniff out the food they love inhaling so much. It's the perfect (cute!) way to train your dog to ease up on how quickly they eat while also making eating fun. For dogs who don't need help in this area, the Snuffle Mat can be a fun way to sniff out their rewards in the form of their favorite treats while also helping them hone in on their hunting skills. Dogs are naturally prone to using the sense of smell before anything else, so this mat functions as a fun way for them to exercise that sense. This mat serves as a great distraction for dogs who are easily nervous or scared as well. It provides a fun, yet easy, challenge, which will help them to remain occupied and ward off boredom. This unique take on a traditional hunt-and-sniff toy is truly one of a kind and will have your dog sniffing their favorite mat even when there's no kibble in it. It's versatile and great for training, but also a great source of random fun, too. This toy is interactive and makes a unique sound that will surely draw your pup's interest. You can hide treats or kibble inside and when your dog starts rolling his or her ball around, they'll be surprised to find what falls out. Sometimes, dogs get so restless that they begin to display spiteful behavior because they're just plain bored. Luckily, that's where self-rewarding dog toys come in to save the day! This toy by FurryFido is renowned as one of the best in its category for 2018 and is fairly simple to use. It can be filled with small treats or even dog food depending on what you're using it for, making it versatile as well as playful. The treats are designed to pop out when the ball is turned the right way which doesn't make the reward system impossible, but it makes things challenging. Dogs will be delighted to find that this ball also features a unique sound that piques their interest and holds their attention. It's designed for hours of use and as long as there's some type of food involved, that shouldn't be a problem! This is a great training toy for dogs of all ages and breeds. It helps them to slow down while eating but also encourages them to get the proper amount of physical play into their routine. This toy doesn't take much effort to make work, in fact, it really takes none at all! Simply fill it and await your dog's curiosity to peak as they sniff around and realize the goodies you've hidden for them inside. Dogs can be challenging to figure out sometimes which is why we’ve come up with a solid list of criteria in order to determine what’s great and what’s not. Depending on the size and breed of your dog, you might notice that you have a strong chewer on your hands or maybe a seeker — One who loves to destroy a toy in order to find the “squeak” inside of it. All dogs have the natural instinct of “play” but that comes from a descendant line of wolves. Since wolves are designed to hunt, feed, and protect their young, dogs have picked up some of those similar attributes in the form of loving treats, engaging fully in play time, and being loyal to their families, usually of which there is one they consider to be an “alpha”. It’s due to this that dogs still get grand pleasure out of new toys and being given the chance to display skills that have been passed down a long line of evolution. If you’ve ever sat back and watched your pup play, you’ll notice how truly interesting it is to see how they do it and what their goal or mission is for the toy at hand. By taking this into account, we were able to seek out dog toys that were sturdy, durable, and would last through even the toughest of pups. While there’s never a guarantee on how long a specific dog toy will last — it all depends on the amount of play and type of play — these are intended to have a reasonable life. We’ve selected things that would challenge, peak curiosity, and offer a reward to your pup in exchange for figuring out how to properly play. All of these qualities, when combined, created what we believe to be the perfect toys for dogs. For starters, dogs need toys because they’re restless by nature and need something stimulating so that they don’t get bored. Additionally, dogs help to fuel natural instincts but also provide an adequate tool for behavior training as well. Depending on your dog, you might notice that your pup needs something that’s highly mentally stimulating while others need something that’s very active and physically engaging. Every breed is different and that’s something to research on your own in order to learn more about your dog’s personality. A good way to know if your dog needs something much more stimulating is by paying close attention to their habits: Do they chew things? Are they somewhat lazy and seemingly uninterested in you or others? Do they run around the house and get what is called “zoomies”? Or perhaps your pup displays spiteful behavior when you’re not home, such as going through the garbage or exploring areas they know are off-limits. All of these are signs that are indicative of your dog needing increased physical activity. Boredom can be destructive for dogs as they’re a naturally active species, which is why toys are so important. Walks are an excellent source of activity and will help them to run down some of their energy, but toys are a great solo venture and will prove to be useful when they’re not outdoors. This can be especially helpful for puppies and young dogs but still holds true to older, adult dogs as well. Similar to treats, toys can be seen as a reward for good behavior. They can also be used as a distraction, such as immediately giving your dog their toy as soon as the doorbell rings or if they see the mailman and get wound up. Toys can be key to breaking this habits because as soon as a dog’s focus is broken, they’ll be attentive to you and what’s in your hands. You might have seen Caesar Milan on Dog Whisperer and noticed that his goal is always to break a dog out of their focus if they’re engaging in a poor behavior. Using a toy is a good way to initiate this and it’s healthier than constantly handing them treats. Dog toys can also be a reward for good behavior, such as when your dog sits, lies down, goes to their bed, or refrains from barking at someone new. If this action is repeated, they’ll eventually associate their good behavior by receiving their toy, thus enforcing their training. First and foremost, active or “distraction” toys are what most owners are familiar with. These are any toys, such as a kong, that are able to be played with fairly heavily while withstanding long-term, intentional use. These are great for things such as chewing, rewards, and keeping your dog active and in shape. Active toys are good for the overall health of your pup and will keep them both mentally and physically stimulated, and that’s what we’ve included on this list. What you won’t find on here are “comfort toys”. Comfort toys can be anything that your pup enjoys carrying around, cuddling with, or playing within a gentle way. This could even be something like a shirt, pillow, or blanket that connects them to you. This comfort item is helpful for their mental well-being and serves as a soothing item for when you’re not home or not playing with them, and it’s something that shouldn’t be turned into an active toy. By having both of these, your dog will have a solid balance of toy variety that should keep them healthy mentally as well as physically fit. Regardless of how safe a toy seems, you should always inspect each toy thoroughly after your dog has finished playing. They’re not like humans and are actually very akin to babies in the sense that they don’t realize what’s not good for them. While the products on our list are certified “safe“, you never truly know if your dog will accidentally rip one open or chew a piece off and end up swallowing it. You should always allow your dog to play within view of you and if you find that their toy has been damaged in some way, don’t continue to let them play with it — They’ll likely give you puppy dog eyes (literally!) but you could be saving them from disastrous consequences further down the line. This is especially important when it comes to toys that have a squeaker in them, as dogs are naturally drawn to finding and destroying it. Q: How would I wash these? A: For the hard rubber toys, a damp cloth is suitable for wiping down the surface of toys. They shouldn’t get too dirty unless your dog is bringing them outdoors. For the fabric and cloth toys, it’s best to avoid cleaning them often and if you do, ensure that you’re using a pet-friendly and pet-safe soap — Or you could just wash them with hot water, ensuring they’re completely dry and cool before giving them back. Q: How many hours should I allow my dog to play each day? A: That depends on the breed type and how interested your pup is in playing. More hyper dogs, such as Jack Russells, huskies, and Staffordshire terriers, will need more time each day to play and will be very receptive to walks in between. More laid-back dogs, such as bulldogs, spaniels, and pugs, won’t need to play as long and will likely do so at their own leisure. Q: I don’t think my dog likes this toy. How can I get them interested? A: Easy! If your dog finds that you’re interested, you can easily engage them as well by simply waving the toy in front of them, speaking in a playful and encouraging voice, and getting them to chase the toy a bit. Q: How will I know if my dog enjoys puzzle games? A: There’s really no way to know this for certain and it may take some time before your dog fully gets the hang of it. Keep in mind that you’re introducing them to something new and unique and that they might take a bit to comprehend what it is they’re meant to do. Their goal is always to please you by remaining loyal, so be sure to praise them appropriately when they do something right while playing with their puzzle. Show them that there are hidden treats to find and encourage them to sniff others out. It’s work, but it’s worth it! Q: Will these need to be replaced often? A: That all depends on how much of a chewer your dog is. You might find that some toys last months while others only last a few weeks. Dogs need constant stimulation so if you notice a toy starting to go, it’s time to move onto something new and fun. Q: What else can these be filled with other than treats? A: You can try things such as a little mashed-up banana or peanut butter (all-natural, of course). All these “human foods” should be given in moderation, though — Be sure not to overdo it.